Various wildlife biologists, naturalists and habitat specialists are actively supporting and participating the Meadows Place Monarch Migration Project. Right now, we are working with some specialists from Wildlife Habitat Federation to help us “develop a lower density grass / higher density forb seed mix that will provide maximum benefit to pollinators of all classes.” – whatever that means. Parks Director Colene Cabezas assures me it is good. 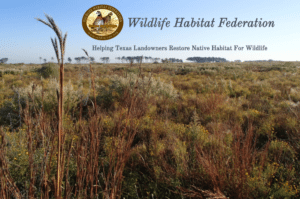 I know we have been working with other State and National organizations who have advised us, and are continuing to assist us with technical expertise, providing Wildlife/habitat restoration personnel, doing site appraisals and even labor as we continue developing our Adaptive Management Plans. This project is fully funded from outside sponsors and donors. The city’s role is to provide the land and opportunity, which we are happy to do.